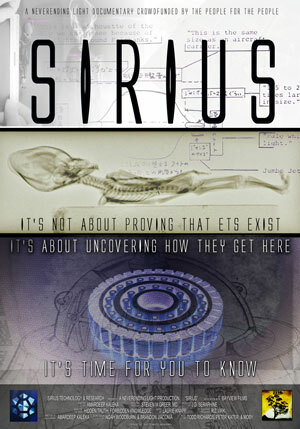 The next step to making ‘Sirius’ a worldwide phenomenon and disclosure a reality is to give the power to the people. Just as we distributed the video-on-demand by recruiting our network of avid supporters as affiliates, the release of the DVD in mid-June will kick off a new form of distribution: local premieres. You can help support the message of ‘Sirius’ and raise funds for our New Energy Lab in the process. Just follow the steps below and you’ll be ready to host your own “Sirius” premiere in your home town! You can find it on our store here. Most towns and cities will have a number of possible screening locations: theaters, libraries, lecture halls, classrooms, etc. Most of the time, you can obtain permission to use them for free if you ask nicely. Set it anytime you think would work best for your community — preferably one where you can maximize attendance. 4) Set a ticket price. 5) Download this graphic to share on Facebook, Twitter and any other social media. Input the location and date of your screening at the bottom. You can edit the text in Adobe Acrobat (PC) or Preview (Mac). Put them up all over town! All proceeds will go directly into the fund for the Sirius New Energy Research Lab.